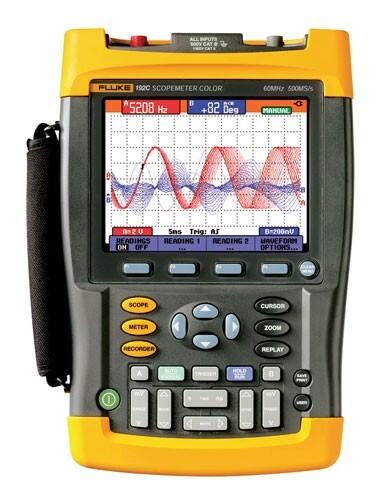 The ScopeMeter 190 Series has specifications you typically only find on high-end bench oscilloscopes. They offer up to 200 MHz bandwidth for capturing high frequency signals, as found in today’s state-of-the-art electronics, 2.5 GS/s real-time sampling and advanced memory and triggering functions. They’re rugged, compact and battery powered. © 2013 Test Rent Store. All Rights Reserved.